Donor agencies have been providing development aid for over 60 years. Trillions of dollars have been spent on a vast array of projects intended to assist developing countries spur growth, save lives, and empower individuals and communities. With so much at stake it is critical to know exactly where aid is going. And yet, comprehensive local-level data on the destination of aid has been historically limited, unavailable to the public, or simply not tracked. Recognizing a need for increased information on sub-national aid, Dr. Michael Findley (Department of Government, UT Austin) and PhD Candidate Daniel Strandow (Department of Peace and Conflict Research, Uppsula Univerity) created an innovative tracking methodology in 2009 to visualize aid flows. The method utilizes available documentation – project appraisals, evaluation reports, or other forms of donor provided documentation – and translates qualitative location information (i.e., place names and descriptions) into geographic coordinates where aid is directed. The methodology is published here, and introduced here. By mapping local aid destinations, donors, governments, and civil society can better monitor and evaluate resource flows within a country and assess development impacts on intended beneficiaries. Multiple donor and development agencies have adopted this methodology to help increase coordination, transparency, and social accountability. Working with the World Bank and AidData, Dr. Findley coordinated the Mapping for Results initiative in 2010, which aimed to geocode the majority of World Bank projects. Thanks to the geocoding methodology, the World Bank’s global portfolio is now available via easily accessible open source maps on their website: http://maps.worldbank.org. ​The African Development Bank also recognized the value of geocoding projects and agreed to geocode much of its active portfolio. In 2010, the Government of Malawi agreed to capture official development aid activities in the country using the geocoding methodology. This marked the first time that a country agreed to track the destination of all aid flows within its borders. Dr. Findley with the help of Dr. Kate Weaver (LBJ School of Public Affairs, UT Austin), along with the Climate Change and African Political Stability (CCAPS) program at the Robert S. Strauss Center for International Security and Law at UT Austin, worked closely with Malawi’s Ministry of Finance, Development Gateway, and AidData to manage the intensive data collection, processing, and analysis project. 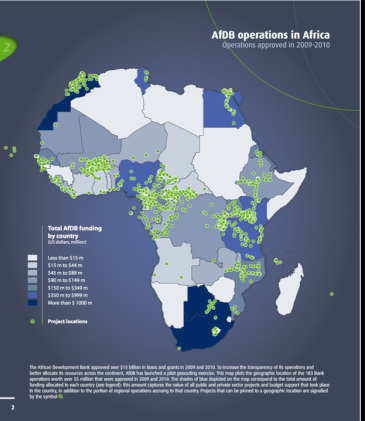 The result was the most comprehensive map to date of development aid within a single country. Further information can be found here. ​Following the successful Malawi experiment, Innovations for Peace and Development (IPD), an initiative co-led by Drs. Findley and Weaver, in conjunction with the College of William and Mary, Brigham Young University (BYU), Esri, and Development Gateway, received a grant from USAID to apply the proven methodology to map aid and improve the geospatial capacities in 25 additional countries, including Uganda, Timor Leste, Senegal, and the Democratic Republic of Congo. The International Aid Transparency Initiative (IATI) adopted the mapping methodology and activity coding in 2011, providing the standard for tracking aid activities worldwide at the local-level. 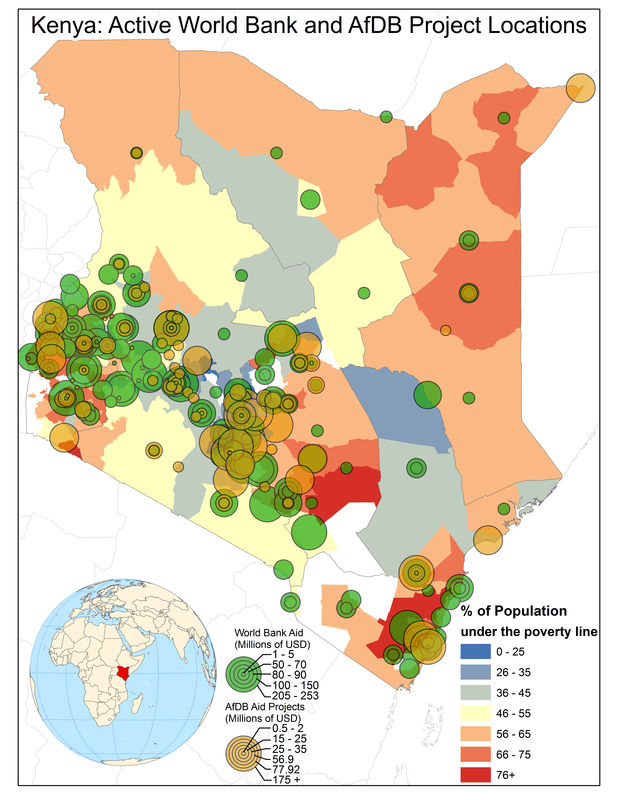 One of the first geocoded maps of aid in Kenya demonstrates the lack of aid in the north of the country where the highest levels of poverty exist. 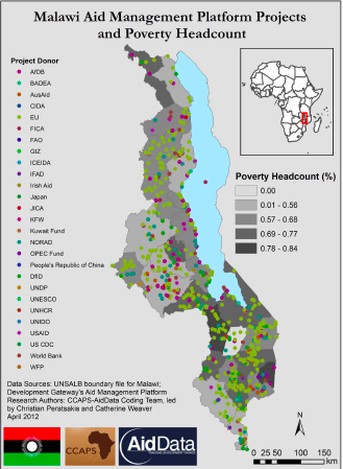 In 2011, Malawi became the first country in world to have a publicly accessible map of all official development aid activities at sub-national level.